From the moment you pass in between the two huge gate posts at the driveway entrance to Heskin Hall, you know it is going to be an impressive residence. The gate posts are some three metres high and are of the renaissance style of the 1600s. The large manor house has a date stone of 1670, but its ‘L’ shaped layout suggests it was constructed earlier than that, with some sources claiming 1548. A hearth tax of 1666 records a total of 15 fire places in the property, so it has long been a grand building. Much of what we see of the outside is original, but the hall was enlarged in the 1800s. What first strikes the visitor are the huge imposing bay windows. Glancing above these you can see smaller mullioned windows, some of which are set into gables at the attic level. Some of these have been blocked up, and the modernized ones make a clear contrast with the originals. There are five gables in all, of differing heights and levels. The attic space must be fairly large, because it contains the remains of a ‘long gallery’, a room the length of the house for walking and entertaining in. As you approach the hall from the left hand side you can clearly see four sm all recesses. The function of these is not clear, but some sources think they may be bee boles and they do seem to be the right size and shape. These would have had bee ‘skeps’ or hives in them and would have sheltered the bees from wind and rain, as well as providing warmth from the house. The brickwork on this side of the house displays very distinctive blue diamond patterns. If you look closely at the brickwork at eye level, you can clearly see how much thinner these handmade bricks are from modern ones. Passing by the front of the house we see a large Tudor porch. The outer doorway has an imposing archway and looking inside we can see the inner door made of studded oak. Head around to the back of the hall to gain entrance. Once inside we can see that despite much modernization their are still some old and original features. Oak was used extensively throughout, from the imposing stair case, the drawing room with completely paneled walls and the occasional exposed huge beam with wooden pegs. 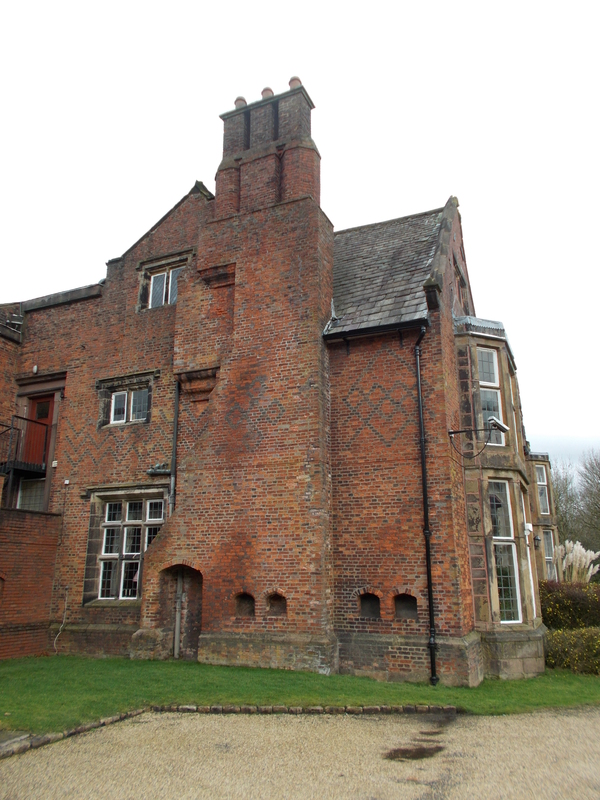 After its use as a manor house, the hall has also been a farmhouse, a private residence and a training and education centre for both Blackburn College and a double glazing firm. Today the hall has two business purposes. Firstly it’s a wedding venue, taking advantage of its impressive surroundings and downstairs interior. Secondly, it houses a large array of antique and vintage items, all for sale. There is a very small entrance fee to go inside to views these. Recently the shopping experience has been extended to a permanent farmers market and craft centre in the converted barns and out buildings of the hall. Entrance to the hall is £1.50 for adults. The farmers market and craft stalls in the converted barns are open everyday (except Monday) with similar hours to the hall. Parking: There is a car park at the hall and another one at the farmers market and craft stall area.